Cooper Union – as a unique institution of higher education; as a legacy of visionary founder Peter Cooper; as a dream – lives or dies today. Just so you know. 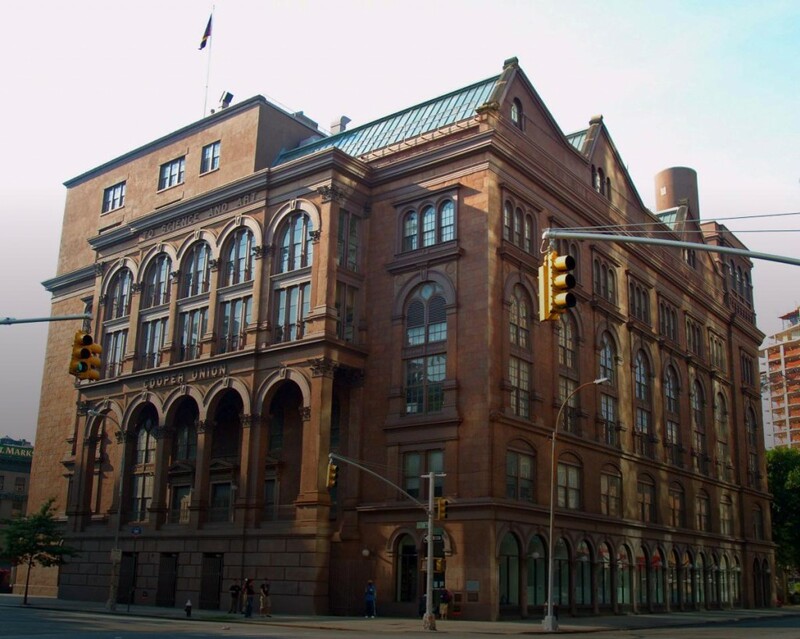 If the vote goes one way, a new, lean, careful Cooper Union will tiptoe forward, tuition-free. It will require equal parts deep sacrifice, wild ambition, and straightforward pragmatism. And it will uphold a 150+ year tradition of free undergraduate education. If it goes the other way, all of that will disappear. Not just the free tuition, but everything that was built on it. In its place we’ll find a tragic fraud. A joke. A zombie. Here’s some background from Felix Salmon, who has been drawing attention to the foresight of Cooper’s vision and the perfidy of recent Presidents and Boards. The Cooper Union story recapitulates, in miniature, a shockingly large proportion of the various aspects of the global war on public-serving higher education. Here’s to hoping the tide is turning, today. This entry was posted in Academic Life, Culture, Economics, Politics and tagged cooper union, means and ends, money uber alles, perfidy, presidents, trustees. Bookmark the permalink. The dream that was Cooper Union has died, killed after 154 years by a quick succession of self-serving, incompetent, perfidious Presidents and Boards. Felix Salmon delivers the eulogy.